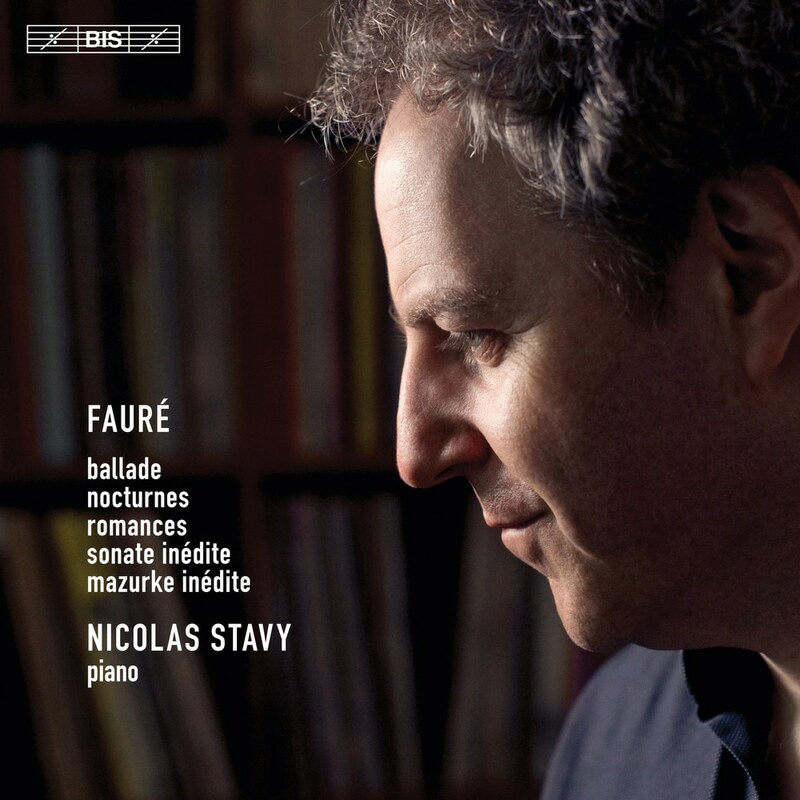 This recital could almost have been entitled Around Fauré in Sixty Minutes, as the programme devised by Nicolas Stavy spans the entire career of the composer. In April 1863, when Gabriel Fauré noted down the Sonata recorded here for the first time, his 18th birthday was still a month away – the masterly Nocturne in B minor Op. 119, on the other hand, is Fauré’s final work for the piano, composed only two years before his death in 1924. Between them, and the other works included on the album, a fascinating trajectory takes shape. In the Finale of the sonata we hear a young man enjoying himself as he experiments with a Haydnesque idiom; a few years later there are traces of Mendelssohn and Schumann in 3 Romances, and of Chopin in Mazurke – also a world première recording. Especially when it comes to the choice of genre, Chopin is still an influence during the 1870s and Nocturne No. 1 and the Ballade, but both works testify to a composer finding his own voice. Fauré went on to compose another 12 nocturnes and two of these, No. 6 in D flat major from 1894 and the aforementioned Nocturne in B minor, serve as snapshots illustrating Fauré's later career and the composer's path towards increasing abstraction and a style characterised by timelessness and a detachment from fashionable trends.